1. Give us a like on Facebook and a follow on Twitter. 2. Share our page with your friends! 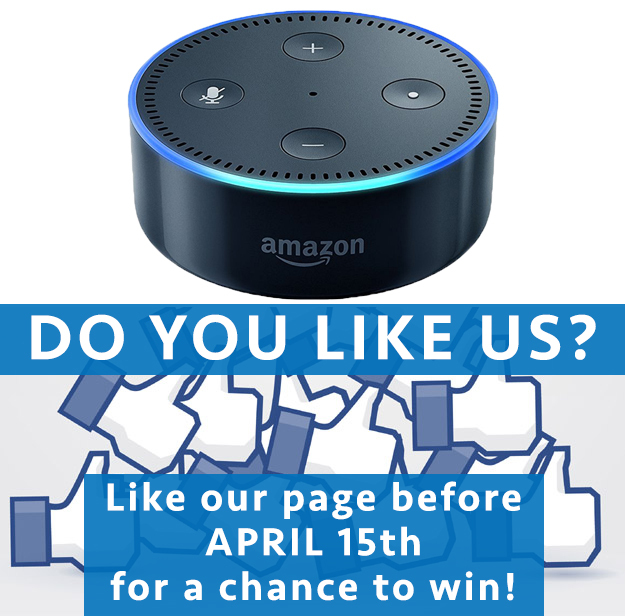 Once you complete these steps, you'll be entered for a chance to win 1 of 3 Echo Dot prizes, no strings attached! We hope you'll share the word and get our page further into the Boston's vast social network. We look forward to seeing your hard work.